At Silkstone State school Qld. a contentious issue arose. The school required car parking and a sealed one at that. 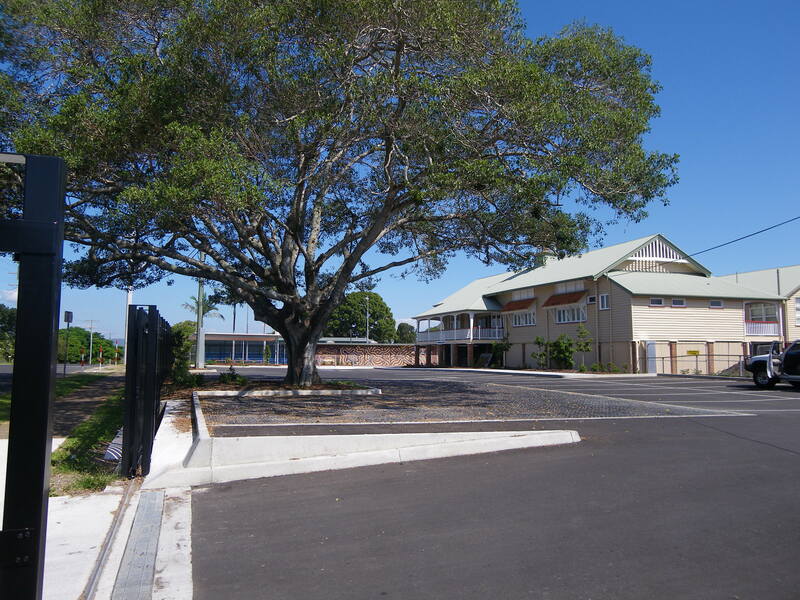 But in the proposed car park was a huge old tree. The tree could be cut down and the roots dug out or the tree could be left, with open soil above the root system to allow for infiltration to keep the tree healthy; but this would lose at least six car spaces. What was to be done? 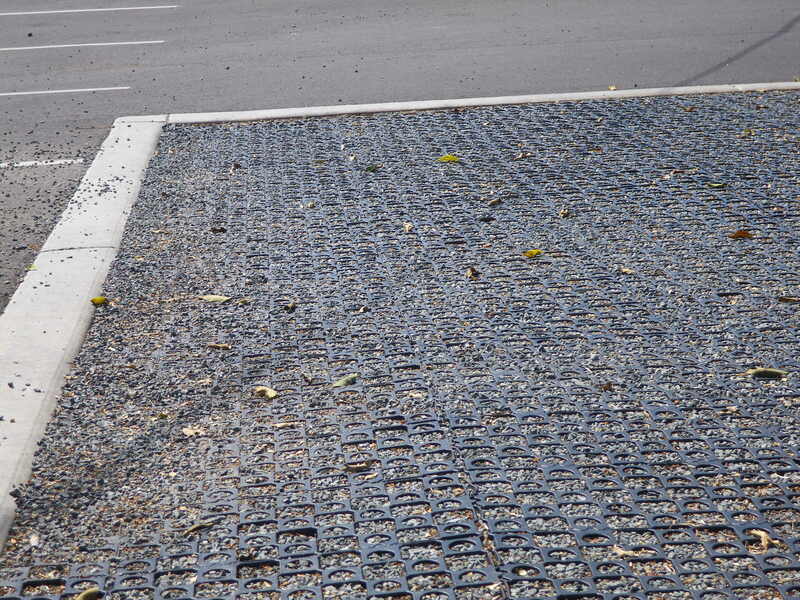 The answer turned out to be simple – keep the tree, but surround the tree with Atlantis® Gravel Cell™ 52mm cells. 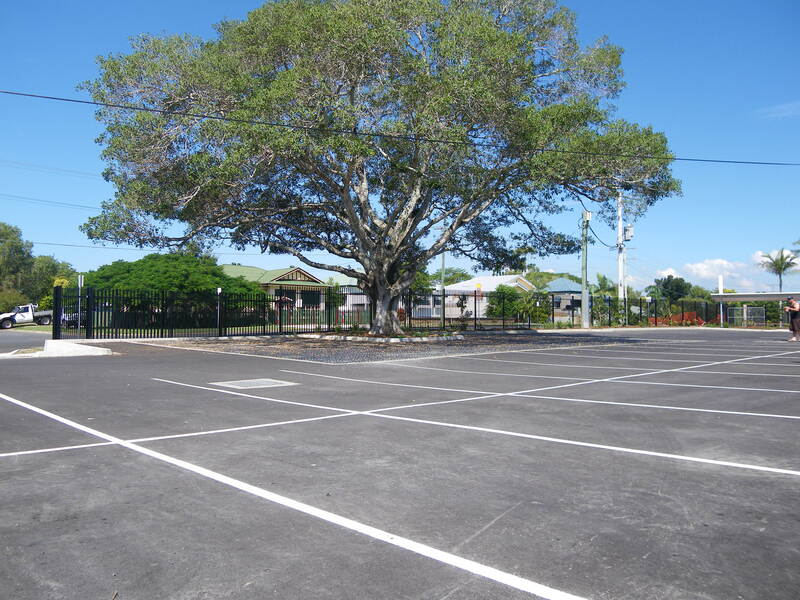 Hence while the rest of the car park was sealed, the area around the tree was prepared and the 52mm cells were laid and clipped together there and filled with 10mm gravel. This area was of sufficient size to provide 3 car places on each side of the tree and a driveway in front of the tree, while at the same time allowing rainfall to infiltrate through the gravel into the root system. Thus we had a win-win situation. 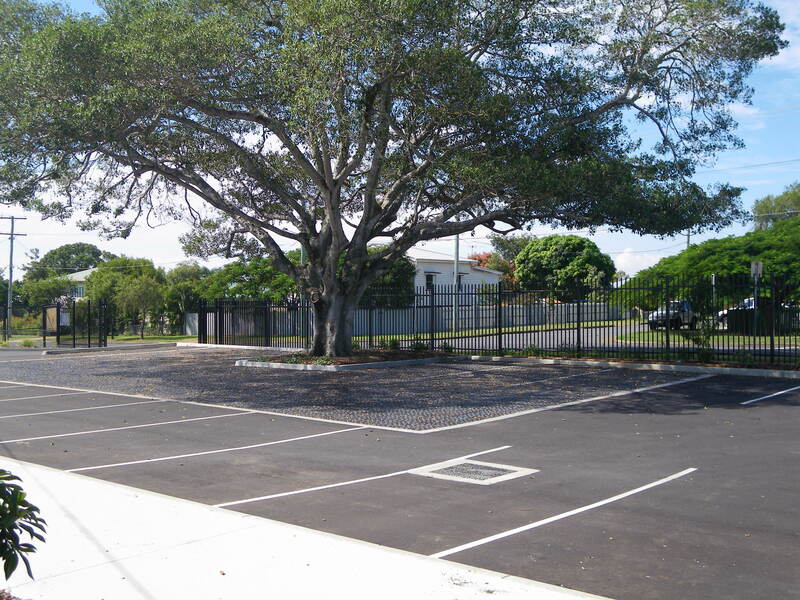 Not only was the tree saved, and money saved on not having to remove it, but the root system of the tree was protected by the Gravel Cell™ system, and six extra car spaces were created.